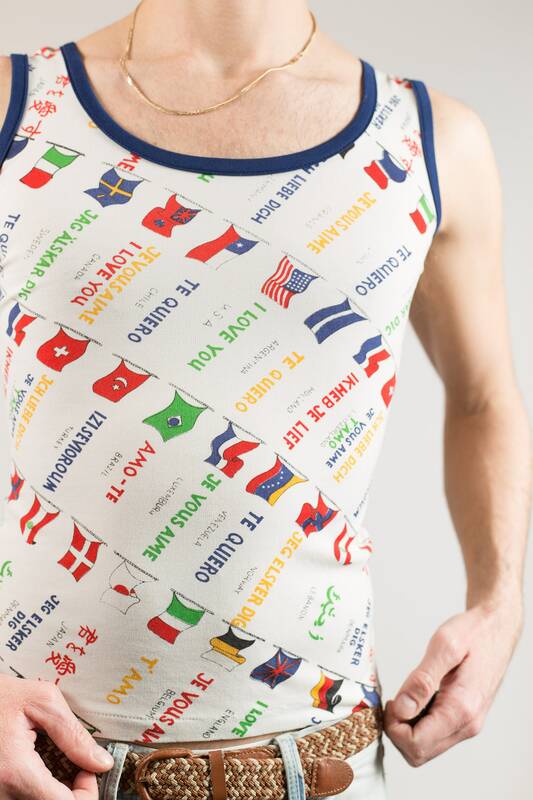 This is a vintage tank top with an allover pattern of flags and many ways of saying “I Love You” in different languages. Fits Like: xs (Model wears medium and is 5”11). 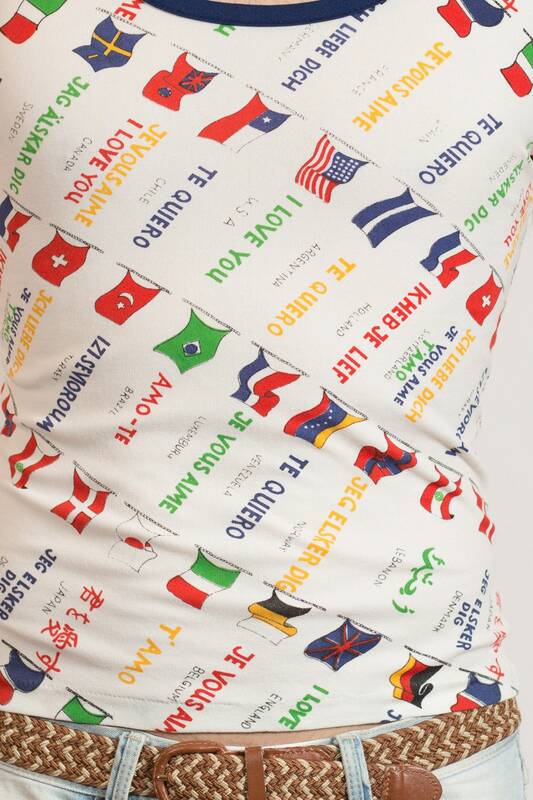 Material: unknown (it is stretchy).